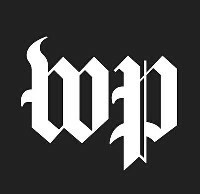 WASHINGTON – (RealEstateRama) — The U.S. Department of Housing and Urban Development (HUD) today announced an agreement to resolve a discrimination complaint brought by fair housing advocates against Maryland’s Department of Housing and Community Development (DHCD) challenging the fairness of the State’s Low-Income Housing Tax Credit Program. The agreement establishes policies, incentives, and more flexible program rules that will streamline the creation of affordable housing in higher opportunity neighborhoods in the Baltimore region. Specifically, the settlement will increase the number of affordable housing units in the region by as many as 1,500, with more than 1,000 of those units being new construction. In addition, developers of affordable housing will no longer have to satisfy previously required local scoring or approval criteria before applying for state-allocated tax credits. Read the Conciliation and Voluntary Compliance Agreement. The agreement announced today is the result of a complaint filed with HUD in 2011 by the Baltimore Regional Housing Campaign (BRHC), a coalition of housing and civil rights organizations. 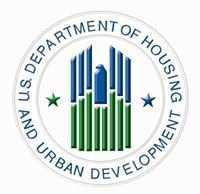 BRHC said the state maintained a policy requiring local jurisdictions to approve proposed affordable housing projects prior to the consideration or allocation of Low-Income Housing Tax Credits (LIHTC) to fund construction. The coalition’s complaint alleged that requiring local jurisdiction pre-approval prevented the placement of LIHTC-funded properties in predominately White areas, thereby limiting housing opportunities for African American and Hispanic families in communities of opportunity. Pay $225,000 to sustain BRHC’s mission of working to increase choice, educational opportunity and social equity for low-income families in the Baltimore region.